The Netherlands have several wonderful orchestras of which the Amsterdam "Concertgebouw Orkest" is one of the best known. However the city of Rotterdam has an orchestra that is a just as good, perhaps better. In this section you can read all about the developments that have made the RHPO what it is today. The Rotterdam Philharmonic Orchestra was founded in 1918 by several musicians who shared a wish to perform symphonic music together. It was called the "Society of Profesional Musicians for Mutual Cultivation of the Arts". At the time the intention was not the formation of an orchestra on a commercial basis. It was going to be a private society with paying members and the aim was to make music for personal pleasure without pursuit of gain. 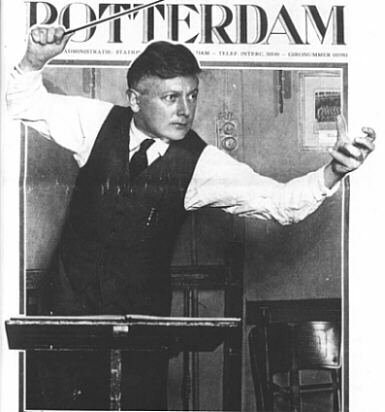 The first musical director was Willem Felzer, who was not a conductor but manager of two Rotterdam music schools. Felzer was succeeded by Alexander Schmuller for the periode of two years but the first bloom came under the direction of a famous Dutch conductor called Eduard Flipse. Eduard Flipse was first conductor from May 1930 until June 1965 and during that time the ensemble grew into a orchestra in which the individuality of every musician was allowed to be heard. 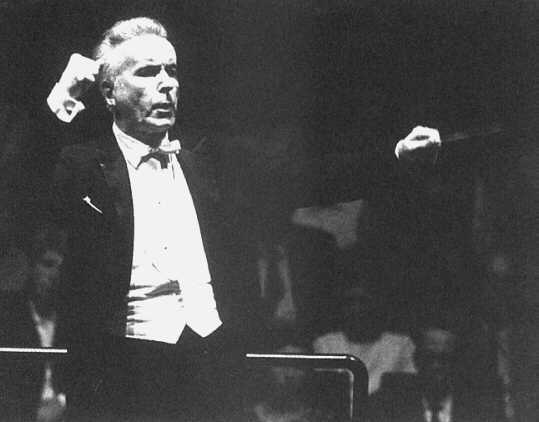 Eduard Flipse in 1931, first conductor at last! 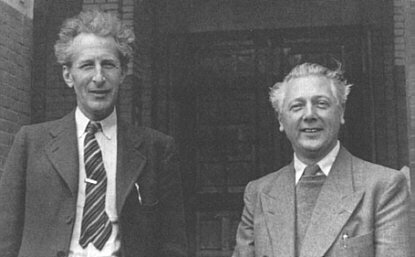 When Flipse took over from Felzer and Schmuller, the orchestra was in bad shape both financially and artistically, because the Depression had a negative effect on public life. Still, Eduard Flipse had a modern look on matters. His choice of music was refreshing and he also was a good manager. He raised funds for new instruments and other necessities. His “Instrument Fund” was a big success! The orchestra became known for its special attention to contemporary music and the work of Dutch composers like Johan Wagenaar, Willem Pijper and Alphons Diepenbrock. Flipse achieved the impossible, visitor numbers were rising fast. Part of his growing success was in the way he led the orchestra. He worked hard and expected everyone to do so. His authority was indisputable, not only in conducting but also in his behaviour towards his public. If you were too noisy you could expect to be expelled like a schoolboy. The first "Doelen", Rotterdams Concert-Hall, then called the New Doelen. They are in fact "The old Doelen". 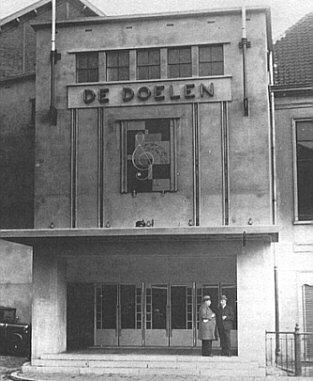 The Doelen, built in 1935, was a theater for 1300 people. During the last years before World War II it was almost filled when the Rotterdam Philharmonic was performing. When the Rotterdam council began to subsidise the orchestra, its problems seemed to be in the past. In June 1940, Rotterdam would celebrate its six hundredth birthday and much was expected from the celebrations. The Rotterdam Philharmonic would bring a grand program. On the seventh of May they played Max Bruch and Igor Stravinsky in a celebration of Flipses first ten years as conductor. A week later, on May the fourteenth and a few days after the start of the second world war in the Netherlands, Rotterdam was bombed and with the near disappearance of the city, the days of the Orchestra seemed numbered. 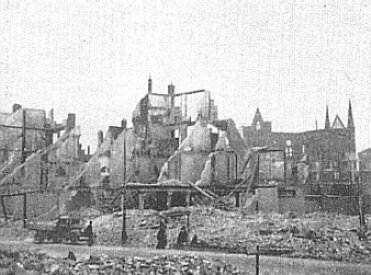 None of the members were killed but the fire that ruined the rehearsal facility at the Jonker Fransstraat in Rotterdam, destroyed most of the music library and all of the instruments. Several musicians had lost their homes and were supported by their colleagues; still everyone thought it best to continue working. A lot of help came from other orchestras and private persons in the form of funds and instruments. Although problems were abundant, thanks to several other Dutch orchestras who gave concerts to raise money and helped with equipment and sheet music, the season finished according to plan. The “Koninginnekerk, one of the few churches that survived the bombing, was going to be the new concert-hall. The war caused several other problems amongst which were transportation and black-outs. The most far-reaching (and saddest) change was the obligation to fire Jewish orchestra member. With the institution of the “Cultuurkamer”, an organisation meant to regulate the arts in the Netherlands so that it would fit the Nazis, the freedom of all orchestras was diminished. Every musician had to become a member of the Cultuurkamer, Jews had to be fired and music by Jewish composers was banned. This was also the case for music from countries Germany was in war with. Eduard Flipse hated the Cultuurkamer and had several conflicts with them, mainly because of his choice of music. Flipse refused to follow some of the rules about English, French and Russian composers and stated that German composer lacked the ability to write decent music. At several occasions he used concerts to ventilate his thoughts about the current political situation. This was also something that caused him serious problems with the authorities from time to time. Dutch orchestras were obliged to play for German officers from time to time. This was also a subject of conflict with the Rotterdam Philharmonic. They simply refused and also never helped raising money for military aims. Concerts with German conductors were never a success. It wasn't until 1966 that, the now called Rotterdam Philharmonic Orchestra, got its permanent home. The "Doelen", built in that year and one of the best modern concert-halls in the world, became their base. A new era began. The amount of regular visitors was increasing fast and the orchestra became famous in the Netherlands, as well as abroad. The number of concerts was rising and many records were made. 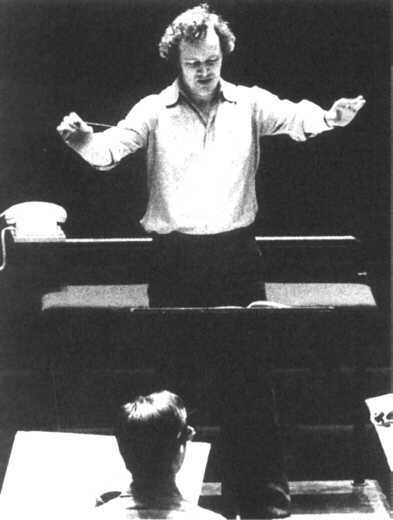 After Eduard Flipse left, the orchestra was directed by Franz Paul Decker and Jean Fournet (1968-1973. The next six years Edo de Waard, another famous Dutch conductor, was musical director in Rotterdam.